In this class Katrina Wynne focuses on the magical and transformative elements of tarot that can add depth to the way you read the cards and lead to a more meaningful outcome for yourself and your clients. The magical aspects of tarot become apparent as Katrina draws parallels between Tarot and well-recognised magical and transformative processes. She explores practical, psychological and spiritual motifs that can be applied to deepen your tarot work. Influences such as the research of Swiss analyst, Carl Jung, to the magical understandings of Israel Regardie of the Golden Dawn, contribute to the structural foundation of this developmental philosophy. 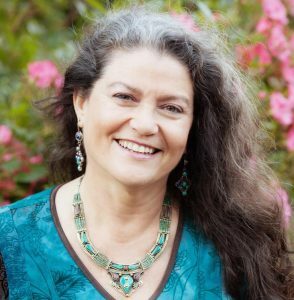 Katrina developed her unique style of reading over the past 20 years based on her studies of transformative modalities and their specific steps to support change. In this class you learn the four stages of change and explore them from a variety of sources, from philosophy and psychology to classic literature, theater, and film. You also learn how to apply these in a practical context with a four card layout that Katrina uses with her clients. The material Katrina presents in this session complements and enhances the concepts introduced in her book, An Introduction to Transformative Tarot Counseling – the High Art of Reading . Whether you’re a Tarot novice or expert, you’ll find essential information in this class and find Katrina’s handouts very helpful.